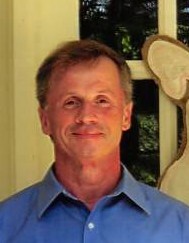 Paul Ferguson, 60, of Senatobia, MS, passed away April 5, 2019 at his residence. He is survived by his wife, Vicki Ferguson of Senatobia, MS; son, Lee Ferguson (Shannon) of Oxford, MS; brother, Wayne Ferguson of Hernando, MS and grandchildren, Cade Ferguson and Piper Ferguson. He was a member of First United Methodist Church Senatobia.